Celebrating 10 years of excellence! Are you in need of an affordable and reliable lawn care service? 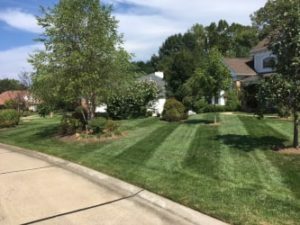 Greenside Lawncare provides the highest quality lawn care and landscaping services in St. Charles and surrounding cities. 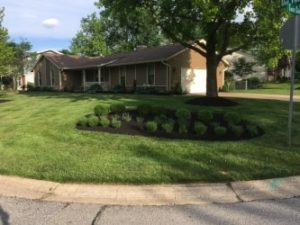 If your looking for that project to give your lawn or landscaping a new look we offer a variety of services that can help you accomplish your goals. Are you looking for tips and information to do a project yourself? We have a great section of tips, tricks, and information that you can use to do projects yourself. We understand there are plenty of homeowners that like to do projects themselves and we are happy to give you the insider professional tips to help you along the way. St. Charles lawn care has never been easier we offer same day service to St. Charles, St. Peters and O’Fallon. Request a free quote online today and we can get your cut today! Rock or mulch can dramatically change your landscape. We offer both those services, and find out what is that best choice for your situation. We offer free plant and landscaping designs. We can help create a idea for the perfect project! Vegetation can get out of control in some situations. We can help you with that situation with preventive measures on a schedule or a one time basis. 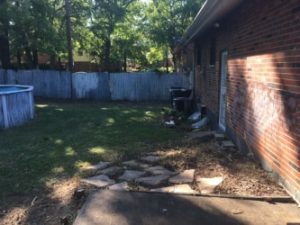 We guarantee all brush removal work that it will pass all city inspections. Request a free quote today. What is truly best for landscaping bed rock or mulch? 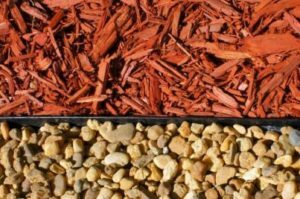 Rock can save you money by not having to replace like mulch year after year; however, the loss of moisture absorption by mulch the plants will suffer up to a 50% loss of growth rate compared to plants planted in mulch. Learn the difference so you can make the best decision for your landscape. Learn the insider information on how we tackle winter work in St. Charles. 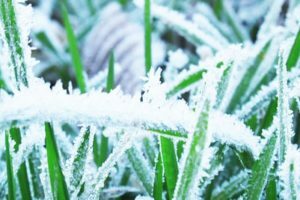 When your lawn is in dormancy its important to be extra careful because any damage you do to the turf, it wont be repaired until springtime. Learn when it is safe to to yard work and learn what the proper tools to tackle the job quickly and effectively. What makes professional landscaping lighting and the generic store bought brands so different? 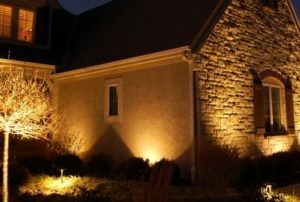 See the difference and learn all the new ways landscaping lighting can bring out the best of your home. Celebrating 10 years in business, we have served St. Charles county and St. Louis county with excellence. From lawn care to backyard patios and retaining walls, we pride our self to be the absolute leader in lawn care & landscaping. Our mission is to give our customers the confidence that they can count on us regardless of weather delays, over the years we have understood the importance of serving our customers on time and have invested in more equipment over the years to ensure that we are ready to handle influxes of work at peak times throughout the season.